On Tuesday, Egypt and Saudi Arabia jointly announced that the ongoing blockade of Qatar would remain in effect until further notice, according to the Saudi-owned Al-Arabiya television channel. The two countries reiterated their ongoing refusal to “make any concessions” towards Doha, which has been facing sanctions from four Arab states for more than a year. The announcement was made following a meeting in Cairo between Egyptian President Abdel Fattah el-Sisi and Saudi Crown Prince Mohammed bin Salman, the latter of whom visited Egypt’s capital on Tuesday (11/27) as part of his regional tour. The idea of Tunisia as an exporter of Arab revolution is a reference to the 2011 deposition of the Tunisian dictator, Zine El-Abidine Ben Ali, which sparked a number of uprisings in the region known as the Arab Spring. Ben Ali has been in Saudi Arabia since then, despite numerous official requests for extradition. 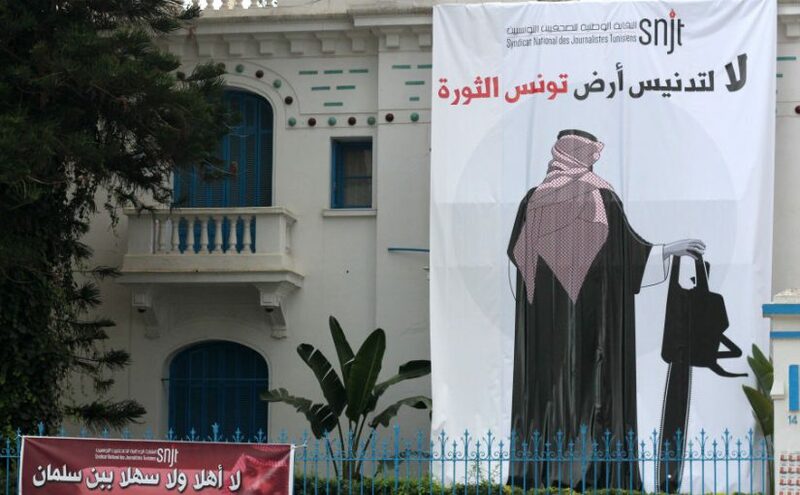 Nevertheless, Tunisia and Saudi Arabia have maintained good relations, with the former accepting aid money from the latter. In October, the countries’ air forces held joint exercises. 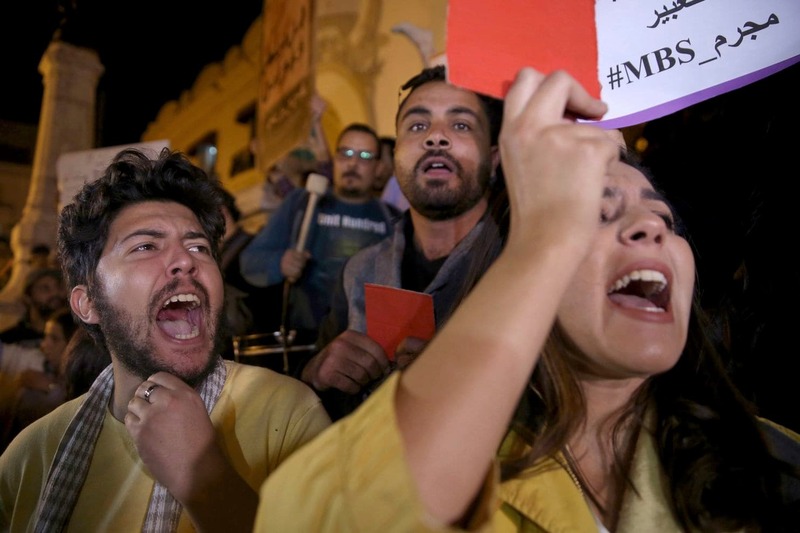 In Tunisia, freedom of assembly and expression remains intact, and the country’s Bar Association had even attempted to file a motion to block the visit, while the Journalists’ Syndicate issued a statement describing Mohammed as a “true enemy of free expression.” In contrast, all forms of anti-government protest have been banned in Egypt since Sisi came to power. Oman’s government announced plans to extend the ban on issuing visas to expats wanting to work in the country, which would include purchase and sales representatives along with workers in the construction, cleaning, and workshop sectors. The new restrictions began on December 1st. The existing ban, which was extended in July, already covered a number of industries including media, engineering, accounting and finance, IT, insurance, technicians, administration, and HR. In June, reports showed Oman’s expat population had dropped 2 percent in the first five months of the ban – that’s 43,000 fewer expats than the same time for the previous year. The aim of the visa ban is to help reduce unemployment among Omanis, but some business people fear it might discourage start-ups in these fields of work. 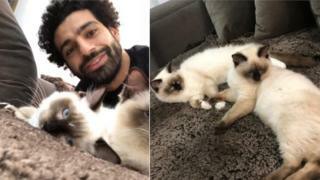 Egyptian soccer player, who is a member of the Liverpool football club and the Egyptian national team, posed alongside his pet Siamese cats in a Twitter post protesting alleged animal abuse in his home country. On Wednesday, the Senate rebuked President Trump for his decision to stand unquestioningly behind the Saudi government by voting 63 to 37 in favor of bringing to the floor a measure limiting the president’s war powers in Yemen. Senators from both parties have repeatedly asked to speak to C.I.A. Director Gina Haspel about the Saudi crown prince’s role in ordering the murder of journalist Jamal Khashoggi. Lindsey Graham, a Republican senator and Trump supporter, claimed he would not allow the administration’s legislative agenda to keep moving until receiving a C.I.A. briefing: “I’m talking about any key vote. Anything that you need me for to get out of town, I ain’t doing it until we hear from the C.I.A.” Graham also said that relations with Saudi Arabia would need to change if the C.I.A. did indeed find that the crown prince was responsible for the killing. According to one official, it is a fear of just this course of action that is motivating the refusal to allow Haspel to brief the Senate. The C.I.A. claims that Haspel is not being kept from the Senate. A similar proposal to end American military action in Yemen was proposed and rejected in March. The Saudi coalition’s targeting of civilians in Yemen has been widely criticized by the international community. Speaking at a conference in Jerusalem on Wednesday, Israeli Justice Minister Ayelet Shaked said she did not believe anyone could find a solution to the Israel-Palestine conflict: “I would tell Trump: ‘Don’t waste your time.’” President Trump’s son-in-law Jared Kushner has been instrumental in guiding the Trump administration’s Middle East policy, including the long-awaited peace plan. However, Palestinian officials have repeatedly refused to meet with Kushner. The U.S. lost credibility with Palestinians after deciding to move the American embassy to Jerusalem, a move which was seen as a rejection of Palestinian claims to part of the city. The Trump administration has also cut aid to Palestinians and Kushner is reportedly attempting to revoke the refugee status of displaced Palestinians. Earlier in the week, Israel’s ambassador to the UN, Danny Danon, claimed that the administration had discussed timing with Israel to unveil the peace plan proposal. Danon told journalists the administration will present its long-awaited Middle East ultimate deal peace plan early next year. President Trump twice asked Iraq’s prime minister for oil in repayment for America’s invasion of the country to topple Saddam Hussein in 2003, it has been reported. Trump first brought the subject up in a meeting with Iraq’s then-leader Haider al-Abadi in March last year, according to Axios. “Trump says something to the effect of, he gets a little smirk on his face and he says, ‘So what are we going to do about the oil?’” a source in the White House meeting told the news outlet. Asked by Abadi what Trump meant, the president responded, “Well, we did a lot, we did a lot over there, we spent trillions over there, and a lot of people have been talking about the oil,” according to the source. “It was a look down and reach for your coffee moment,” a second source who was in the room told the site. Trump again raised the issue with Abadi during a phone call last summer and discussed seizing Iraq’s oil with officials in a Situation Room meeting last year. He was told by defense secretary James Mattis that such a move would be a violation of international law.